If you are looking for a Hell's Kitchen chiropractor or are located in Midtown Manhattan, Balanced Health Medical is your chiropractor in Manhattan. New York may be known as the city that never sleeps, but in reality we all need a good night's sleep on a regular basis! If you are having difficulty falling asleep, or you are waking up frequently during the night, acupuncture can be an effective solution. As your chiropractor in Midtown, we understand how the hectic pace of city living can affect your sleep. Acupuncture can help to ease tension and blocked energy that is preventing you from experiencing a restorative sleep cycle. If you are in the Rockefeller Center area and are interested in learning more about how acupuncture can help to ease your insomnia, contact us today to schedule a consultation. We service the entire city; from Midtown East to Midtown West and the entire 10022 zip code. Our team is proud to provide comprehensive and effective care to our patients in the greater NYC area, and the staff at Balanced Health Medical is fully trained in all of today's most current techniques. If you are looking for relief from insomnia, we are here to help! Insomnia can have a negative effect on your overall wellbeing and your quality of life. 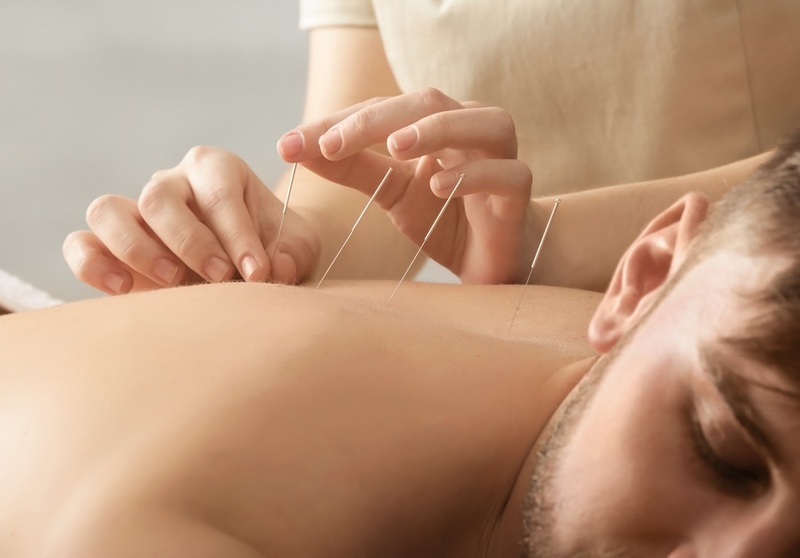 Fortunately, your chiropractors at Balanced Health Medical have offer acupuncture as an effective and drug-free treatment option for our patients who are suffering from insomnia. We provide a drug-free alternative to our patients that have sleep abnormalities and whose disordered sleep patterns are having a negative effect on their lives. Sleep aids and other drugs may provide temporary relief, but can become harmful and also cause more difficulties with your sleep cycle. If you are experiencing insomnia and want a treatment method that is drug-free, we can help. We can also provide lifestyle counseling that can help you to improve your overall health and wellbeing. Ready For a Good Night's Sleep? Contact Balanced Health Medical Today! Balanced Health Medical, your Midtown chiropractor, can help ease your insomnia with acupuncture. Want to learn more? Call us today at (212)-755-1717 to schedule an appointment. We are conveniently located near both Midtown east and Midtown west at 133 East 58th Street #1101, New York, NY 10022.